Is your institute (FIMTS) approved by AICTE &/or UGC? FIMTS is not approved by AICTE &/or UGC. 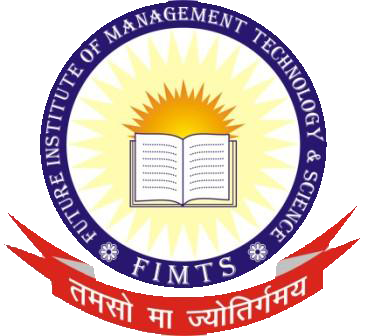 FIMTS is a complete autonomous institute which is provide own Programme Course. Academic independence which gives it the freedom to revise the syllabus with time and follow a schedule which is more suitable for the set curriculum. Exams are conducted by the institute itself and are in accordance with what is being taught during the session. If an institute has no affiliation from any university / AICTE - then what is that status - is that institute called autonomous institute. These above said institute says that they are autonomous institute while not having affiliation from any university/AICTE. a. Technology - hardware (e.g., videotape players, cameras) and software (e.g., computer programs). b. Transmission - the on-going expense of leasing transmission access (e.g., T-1, satellite, microwave). c. Maintenance - repairing and updating equipment. d. Infrastructure - the foundational network and telecommunications infrastructure located at the originating and receiving campuses. e. Production - technological and personnel support required to develop and adapt teaching materials. f. Support - miscellaneous expenses needed to ensure the system works successfully including administrative costs, registration, advising/counseling, local support costs, facilities, and overhead costs. g. Personnel - to staff all functions previously described. Is distance education valid for Government / Private jobs? The distance education of education is such a mode, which is completely recognized by government, all its properties its functions and its working process has the approval of government. It is government which decided to start such type of courses, in order to provide assistance to those who do not have time to study well, as they need to earn for their livelihood. a. Achievement on various tests administered by course instructors tends to be higher for distant as opposed to traditional students (Souder, 1993), yet no significant difference in positive attitudes toward course material is apparent between distant and traditional education (Martin & Rainey, 1993). b. Conventional instruction is perceived to be better organized and more clearly presented than distance education (Egan, et al., 1991). c. The organization and reflection needed to effectively teach at a distance often improves an instructor`s traditional teaching. d. Future research should focus on the critical factor in determining student achievement: the design of instruction itself (Whittington, 1987). Name The Key Players in Distance Education. Students - Meeting the instructional needs of students is the cornerstone of every effective distance education program, and the test by which all efforts in the field are judged. Regardless of the educational context, the primary role of the student is to learn. This is a daunting task under the best of circumstances, requiring motivation, planning, and an ability to analyze and apply the instructional content being taught. When instruction is delivered at a distance, additional challenges result because students are often separated from others sharing their backgrounds and interests, have few if any opportunities to interact with teachers outside of class, and must rely on technical linkages to bridge the gap separating class participants. Facilitators - The instructor often finds it beneficial to rely on a site facilitator to act as a bridge between the students and the instructor. To be effective, a facilitator must understand the students being served and the instructor`s expectations. Most importantly, the facilitator must be willing to follow the directive established by the teacher. Where budget and logistics permit, the role of on-site facilitators has increased even in classes in which they have little, if any, content expertise. At a minimum, they set up equipment, collect assignments, proctor tests, and act as the instructor`s on-site eyes and ears. Support Staff - These individuals are the silent heroes of the distance education enterprise and ensure that the myriad details required for program success are dealt with effectively. Most successful distance education programs consolidate support service functions to include student registration, materials duplication and distribution, textbook ordering, securing of copyright clearances, facilities scheduling, processing grade reports, managing technical resources, etc.. Support personnel are truly the glue that keeps the distance education effort together and on track. Administrators - Although administrators are typically influential in planning an institution`s distance education program, they often lose contact or relinquish control to technical managers once the program is operational. Effective distance education administrators are more than idea people. They are consensus builders, decision makers, and referees. They work closely with technical and support service personnel, ensuring that technological resources are effectively deployed to further the institution`s academic mission. Most importantly, they maintain an academic focus, realizing that meeting the instructional needs of distant students is their ultimate responsibility. Is your institute approved by AICTE &/or UGC?